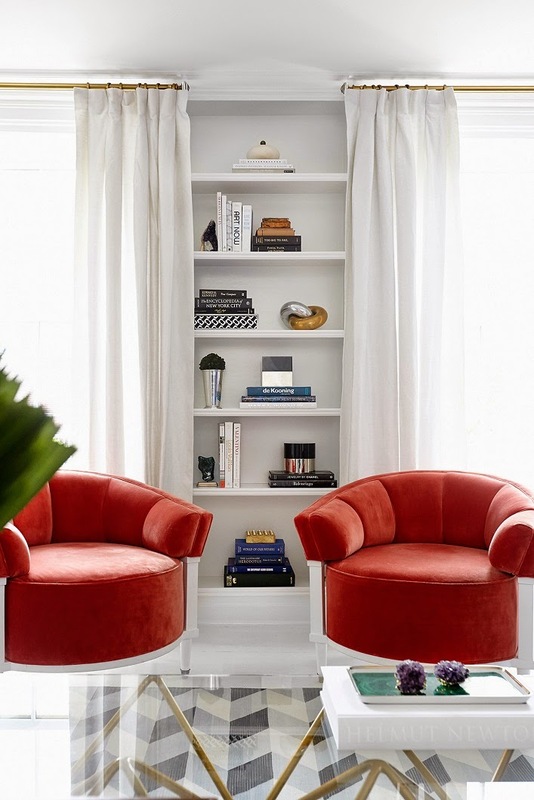 This gorgeous space is designed by the talented Jordan Carlyle. 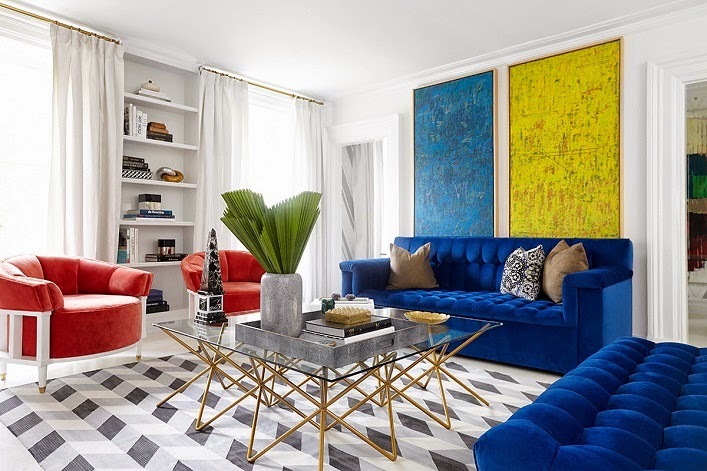 I am instantly drawn to the airiness and delightful use of colors in this Manhattan living room. 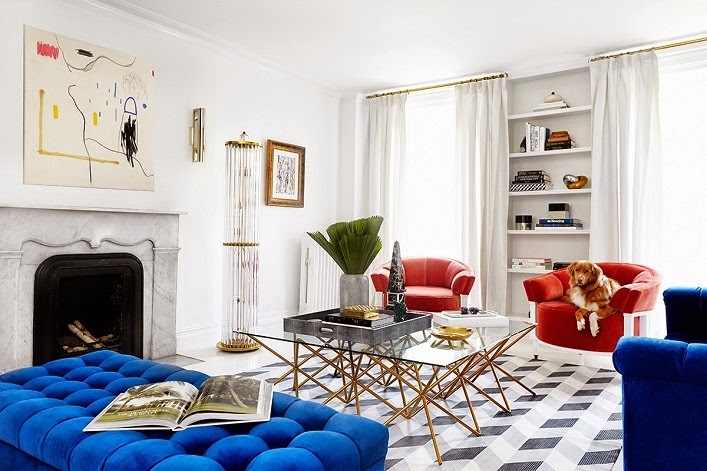 While using many bold furnishings with interesting shapes and textures in the same space would not worked for most, it works for this room because the designer cleverly grounds his furniture pieces against a white backdrop. The results? 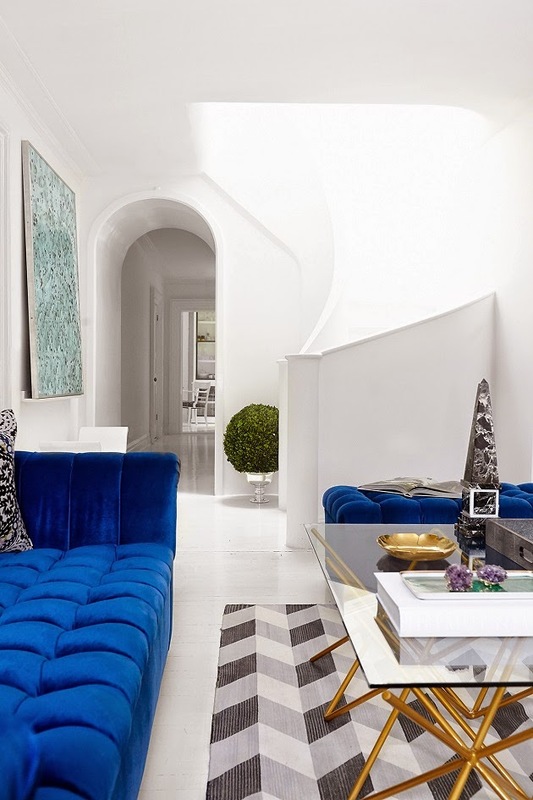 A visually exciting space with a fresh, youthful and lively vibe! A truly inspirational space for sure. Thoughts? Remarkable! The white walls and drapes make this room work! WOWZA!!!!!! Love the colors and the clean lines!